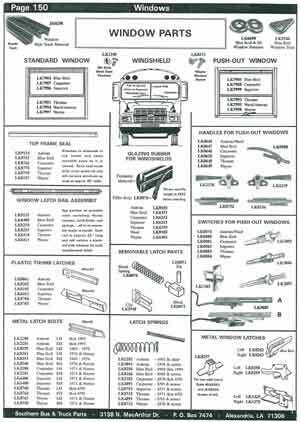 Need Superior Coach Window Parts? Superior bodies with steel framed windows were built through about 1970. 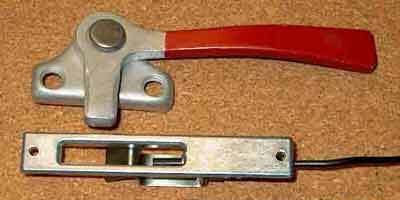 This type latch is extremely rare, and was used with steel frames only. We have just a few of these latches in stock. Superior bodies with aluminum framed windows that used this type latch were built through about 1975. This latch is extremely rare, and we have just a few of them in stock. Superior used these window latch parts from about 1976 until they went out of business. This handle has been discontinued and is no longer available. However, the switch is still available.